Ram Rahim’s controversial daughter Honeypreet is missing, more like sheltered somewhere. The Panchkula police have issued a lookout notice for Honeypreet aka Pinky Taneja as she has been accused of creating a failed plan to flee away Ram Rahim from outside Panchkula court. Police have alerted all the airports and exit points. A team has been already sent to Nepal borders as they feel that Honeypreet might try to flee the country. What Was The Plan On August 25? 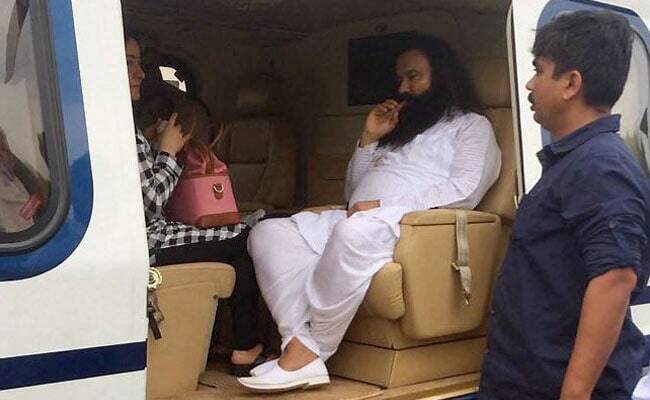 Guru Ram Rahim also registered an application in the CBI court that he is not well so Honerypreet requested through their lawyer that she wants to be with her dad in the jail as she is acupressure expert. Honeypreet is said to be the person closest to Ram Rahim. Dera Sacha Sauda chief Gurmeet Ram Rahim Sigh.